A new feature that we have had on TOM is the “All-2000’s Team” for a respective school. 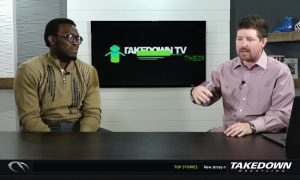 We will go weight-by-weight to feature the best lineup that a team could put together comprised of wrestlers that were in action from the year 2000 to now. Their career could have started in the 1990’s; they just need to have one year of competition in the 2000’s. 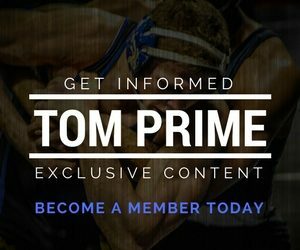 Each wrestler that is mentioned must have competed for one postseason at their weight class (even if it wasn’t the weight they were most known for). Since Brian Smith started building this program in the 1998-99 season, the Tigers have risen from the basement of the Big 12 to a perennial top-ten program. This growth is reflected in the Missouri All-2000’s team, as there are only two members of this group from before 2005. 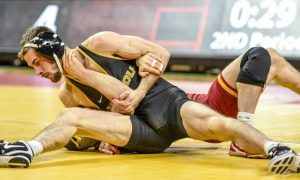 As a senior in 2015, Alan Waters was one of the leaders of a Mizzou team that went into Iowa to defeat the Hawkeyes and win the National Duals, before winning a MAC title and finishing with a team trophy at nationals. Waters earned the top seed at the NCAA Championships in each of his final two seasons and was never seeded lower than tenth. McCormick was a standout on the 2006-07 Missouri team that finished third in the nation and was atop the rankings for a portion of the regular season. Tyler was sixth in the country on the 2007 team, after AA’ing for the first time while unseeded in 2006. Though he did not get onto the podium as a senior, McCormick did hand Coleman Scott (Oklahoma State) a loss at the Big 12 Championships, which ended up being his last collegiate loss. Even with two years of eligibility remaining, Jaydin Eierman has solidified his spot on this team with a pair of top-five finishes at the NCAA Championships. 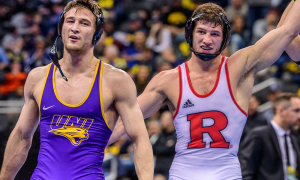 Last season Eierman picked up victories over the eventual NCAA Champion Yianni Diakomihalis (Cornell) and the two-time defending champion Dean Heil (Oklahoma State). Jaydin was ever so close to earning a berth in the NCAA Finals last season, as he fell in sudden victory to Diakomihalis. Drake Houdashelt actually started his career as a Big 12 champion at 157 lbs in 2012. Once down to 149 pounds, Houdashelt made the first of his trips to the NCAA semi’s; this initial time he was unseeded and his next two appearances he had the top seed. Drake is the program’s all-time leader in tech falls (21) and major decision victories (39) and stands alone in fourth place with 134 wins overall. Lavalle put together two solid seasons for the Tigers before redshirting in 2015-16 and returning in full force, by making the NCAA finals. 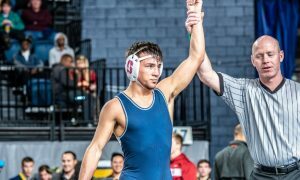 It would be the only time that Lavalle earned All-American honors, as he was seeded second and was eliminated in the Round of 12 last year. It marked the second time that Joey lost in the bloodround, a feat that he had done as a true freshman in 2013-14, as well. Nick Marable was actually behind Matt Pell, as a freshman, on the 2007 team. However, with Pell’s graduation, he filled 165 lbs and didn’t miss a beat duplicating Pell’s third-place finish with one of his own in 2008. Amongst the wrestlers of his time, regardless of weight, Marable was one of the most difficult wrestlers on which to score. Nick was a three-time Big 12 Champion in a weight class that featured All-American’s Jon Reader (Iowa State), Stephen Dwyer (Nebraska), Brandon Mason (Oklahoma State), and Tyler Caldwell (Oklahoma/Oklahoma State). One of the all-time greats in NCAA wrestling, not only for Missouri, Askren was the programs first NCAA Champion and help usher in a new era for the school. 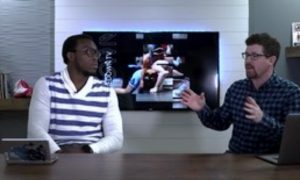 Ben also helped bring scrambling and funk to the forefront of college wrestling. 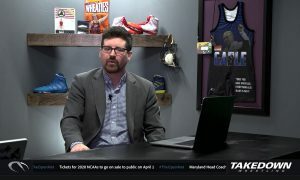 Since the inception of the Hodge Trophy in 1995, only four wrestlers have won the award twice, with Askren becoming to second to accomplish the feat. He was undefeated during those two Hodge Trophy seasons and finished his collegiate career on an 87 match winning streak. 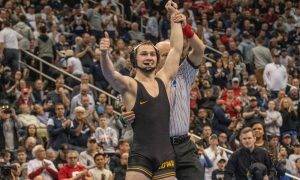 Max Askren came into college overlapping older brother Ben by one year in the Mizzou lineup and had sky-high expectations. He was seeded first as a freshman at 197 lbs and did not win a match, in one of the most unusual turns over events. Askren rebounded and AA’ed the following two seasons, before dropping down to 184 as a senior. Once at 184 pounds, Max dominated Kirk Smith (Boise State) for his NCAA title. 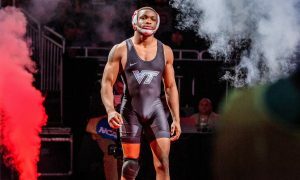 J’Den Cox pulled off one of the more rare feats in college wrestling when he won his first NCAA title in 2014 as a true freshman, at such a high weight class. After earning his third title, he became the first three-time NCAA Champion in school history. His 136-5 record gives him a winning percentage that is actually greater than Ben Askren. J’Den concluded his career by winning his last 48 matches. It was quite the career for Mark Ellis, who originally came to Missouri to play football rather than wrestle. He was never a blue-chip recruit coming out of high school, but Ellis made the NCAA Championships in all four seasons and held off highly-touted Dom Bradley, pushed for his starting position. After finishing as a conference runner-up his Junior season, in a Big 12 stack with talented 285 lbers like David Zabriskie (Iowa State), Jared Rosholt (Oklahoma State), Tucker Lane (Nebraska), and Nathan Fernandez (Oklahoma), Mark broke through and won it all.